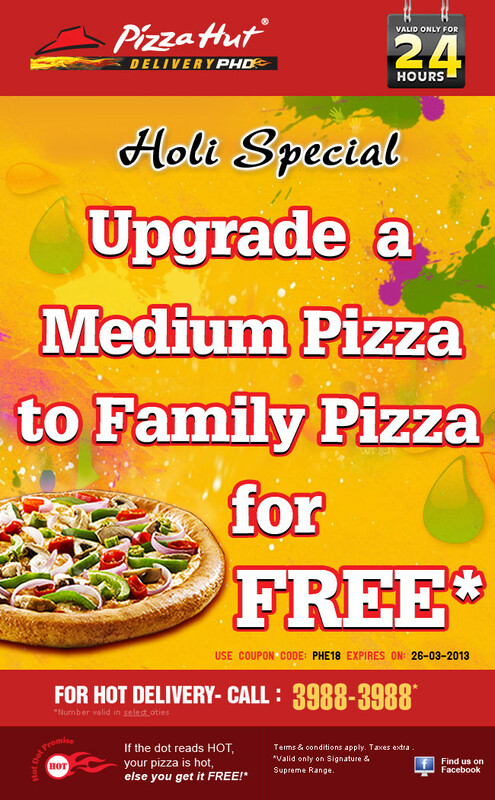 Krish bhai this is not holi offers…this has been on going offer at all Pizza hut since more than a year. It is called Stretch your Pizza. Whenever you call pizza hut you can tell them to use Stretch your Pizza offer, no coupon code required.